Will Dentists Be Able to Regrow Teeth In the Distant Future? Earlier this month, Science World Report published an article on something that could change dentistry in the future. As reported in the Journal of Dental Research, doctors are getting closer and closer to helping patients replace missing teeth with new teeth grown from a patient’s own stem cells. That means that one day doctors may not have to rely on artificial restorative solutions. Instead, a completely new tooth could be grown in the patient’s mouth, resulting in a completely natural new smile. The process works using a combination of specific cells taken from a patient’s gum tissue. When the right cells have been singled out and combined, the mixture is transplanted to a patient’s jaw, where the tooth will develop over time. The procedure is still being researched and developed, but in the future this could become an alternative to a service like dental implants. 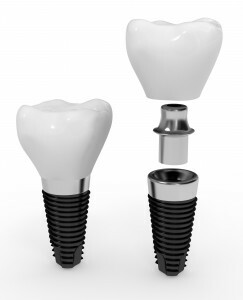 To find out if dental implants are right for you, call Dr. Goldstein’s Randolph dental office. During a consultation at Randolph Dental Care, we can diagnose your situation and help you understand if dental implants are the best solution for you. Dr. Goldstein serves patients from Randolph, Rockaway, Mendham, Chester, Morristown, Denville, Morris County, and beyond. Comments Off on Will Dentists Be Able to Regrow Teeth In the Distant Future?